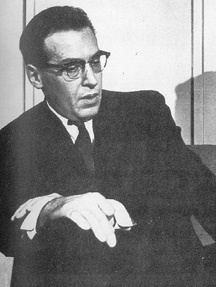 Julian Schwinger applied the mathematical process of renormalization to resolve serious incongruities that had developed in the scientific understanding of Paul Dirac's quantum field theory, most famously in a paper published in 1948. With physicist William Rarita (1907-1999) in 1941, he described the Rarita-Schwinger equation, the relativistic field equation of spin-3/2 fermions. In 1952 he proposed Schwinger effect, a calculation of the rate at which an electric field can cause electron-positron pairs to be pulled out of a vacuum. In 1957 he proposed the existence of two different neutrinos, one linked to the electron and one linked to the muon. With Richard Feynman and Sin-Itiro Tomonaga, who had conducted similar work independently, Schwinger won the 1965 Nobel Prize for Physics for his "fundamental work in quantum electrodynamics, with deep-ploughing consequences for the physics of elementary particles". He finished high school at 14, and while coasting through City College of New York and scouring physics texts in his spare time, his first scientific paper was published when he was 16. After meeting him, Hans Bethe wrote, "I entirely forgot that he was a sophomore 17 years of age. ... His knowledge of quantum electrodynamics is certainly equal to my own...". He studied under Isidor Isaac Rabi and earned his doctorate at 18, though the degree was delayed three years due to his resolute disinterest in attending required lectures covering material he already knew. His thesis was published and recognized as an important study of neutron scattering by hydrogen molecules. During World War II he was briefly involved with the Manhattan Project, before deciding that he did not want to work on the design and construction of atomic weapons, and instead joining the effort to develop microwave radar. After the war he taught at Harvard, becoming a full professor at the age of 29. He came to the University of California at Los Angeles in 1972, where he effectively distanced himself from the mainstream of theoretical physics by pursuing a phenomenological theory of particles, which has not been widely accepted. He continued his research at UCLA until mere days before his death from pancreatic cancer in 1994.